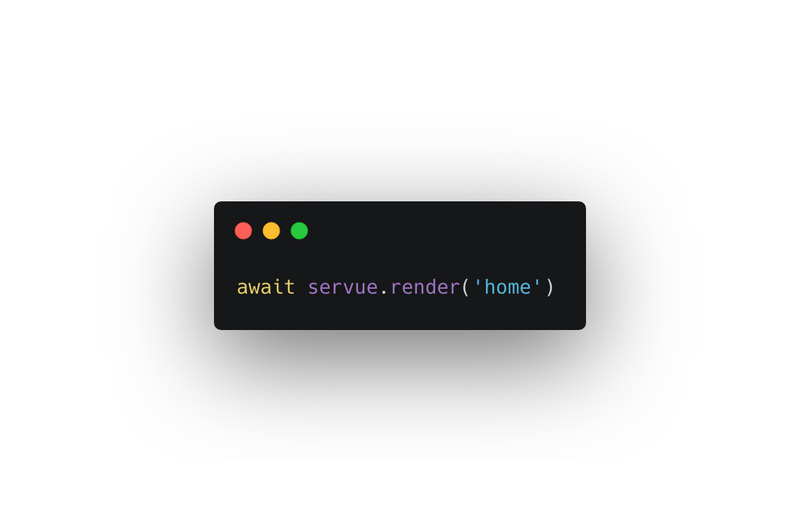 "Servue server-side-renders Vue Single File Components (.vue files) into HTML. It is a fully capable templating engine, and allows users to create nested layouts using slots and components. The renderer provides the correct scripts, and styles on the client-side. It creates no extra build or compiled files. It’s perfect for multi-page applications and great for users wanting to use Vue with Express or Koa. It uses webpack, vue-server-renderer & our awesome head management system."